Today’s feature is a pretty special bike. 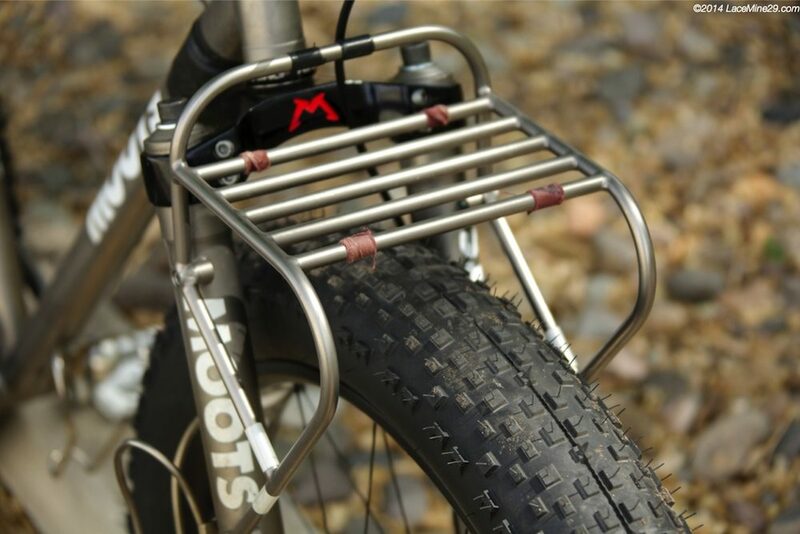 Called the Moots Snoots, its main purpose was to be ridden to the South Pole! Yep, that frozen place at the bottom of the Earth; possibly the most testing place to ride a bike. 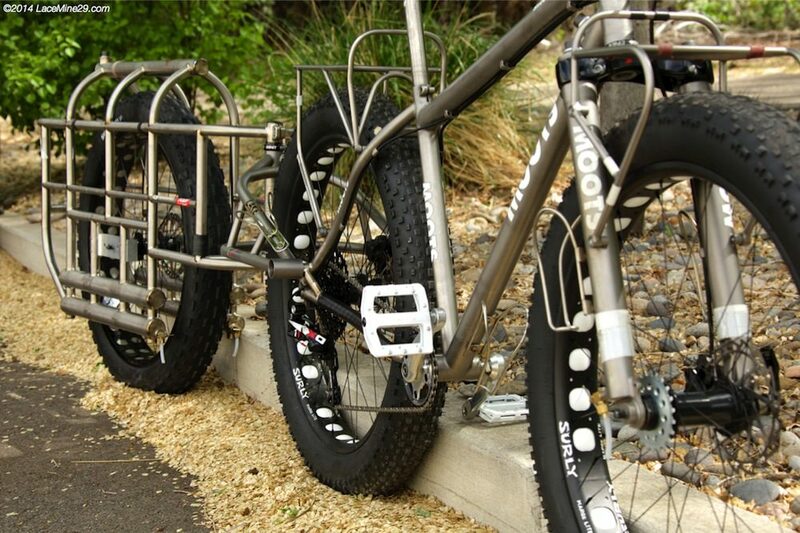 While the expedition never came to fruition, the purpose-built fat bike did. And it’s freakin’ amazing! 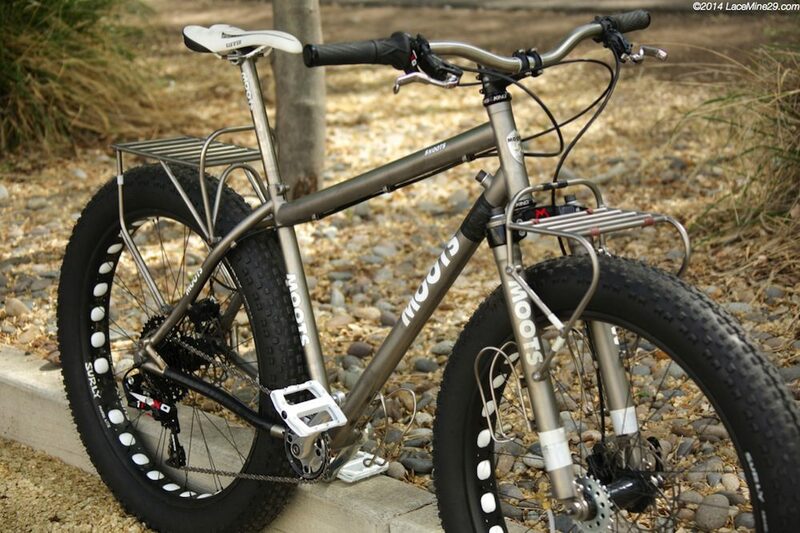 Moots have specialised in titanium bikes for decades. 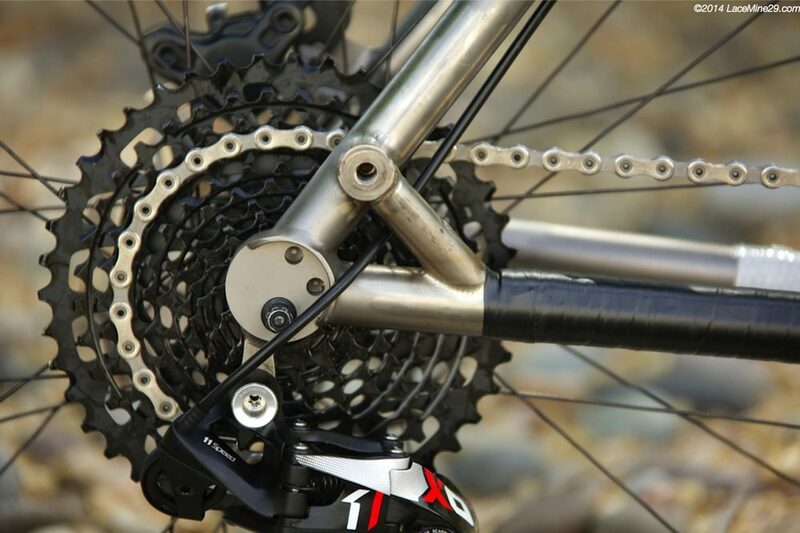 Despite their small size, they’ve managed to create all kinds of innovative parts and frame designs which have influenced the whole cycling industry. Whether it’s hardtail frames with and inch of suspension, stems or some custom built racks – anything is possible. 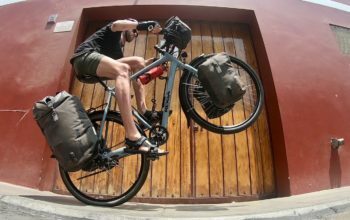 Mike Curiak from LaceMine29 commissioned this bike to explore some of the hardest to reach places on Earth. It’s actually the second shot he had at the ‘Snoots’ – this time with a matching trailer. 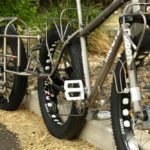 The first Snoots had been ridden all of the USA including the Iditarod Trail in winter without any support (see video). The original inspiration to build this bike was so that he could ride from Ross Island on the Antarctic coastline, following the Overland Traverse all the way up to the South Pole. After years of preparation, he decided to move onto other more ‘engaging’ projects. 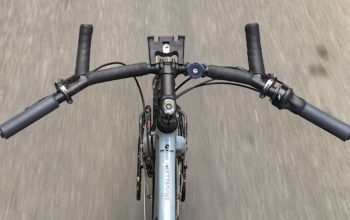 Custom titanium racks are found front and rear on the Snoots. 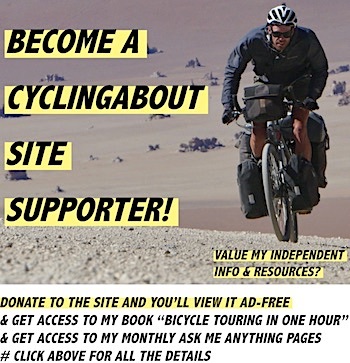 This is partly because there wasn’t other options available, but also simply because Moots can. The fork itself is built around an old downhill crown to get enough clearance for snow and ice. 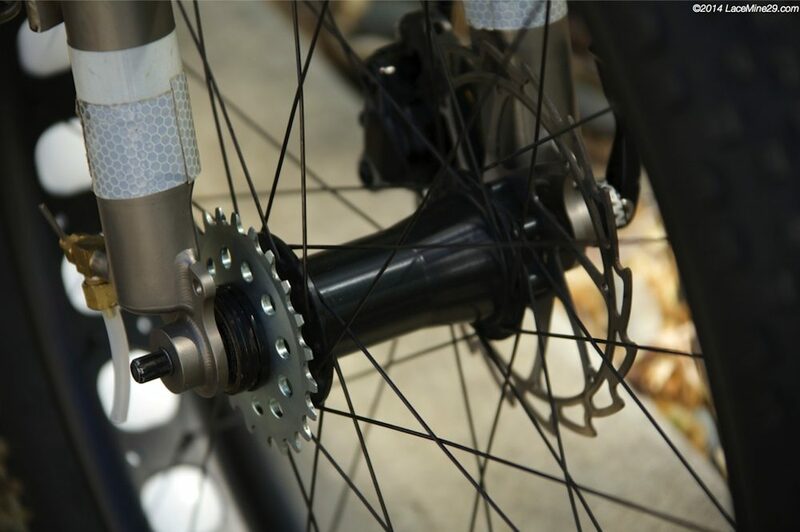 The bike employs 150mm hubs front and rear. 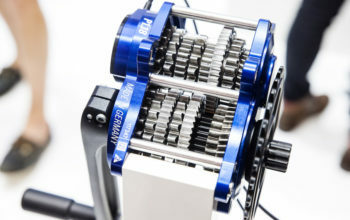 This is unique because front hubs are generally narrower. 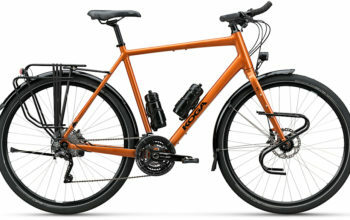 The idea is that should something happen with the rear hub or gears, you can switch wheels and continue the expedition. 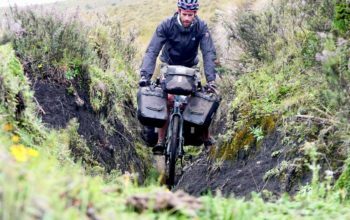 The bike is rolling on 26×4.7″ Surly tyres on 100mm wide Surly rims. With a couple of PSI in the tyres, the bike has incredible grip on all terrain as well as the ability to ‘float’ over many obstacles. 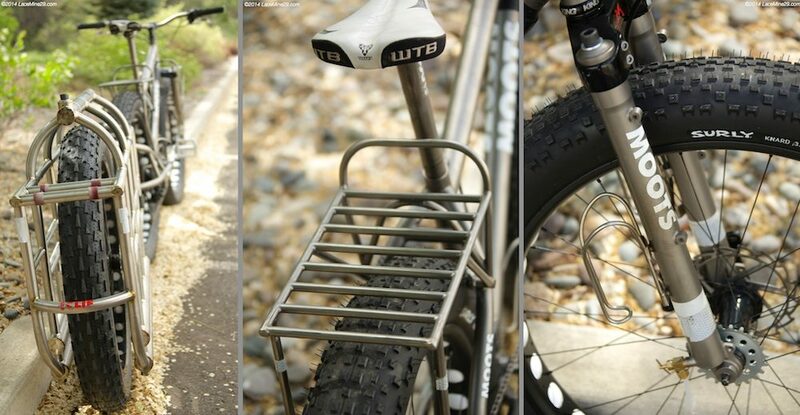 So you’re probably thinking, this looks like a pretty ordinary fat bike with racks. You know, relatively upright, slack angles, low gear ratios and large frame tube profiles. What’s special about the Snoots is that it has liquid storage INSIDE the frame tubes. Fuel, water, whisky – you name it. The inputs are located at the highest possible point, and small taps are found at the lowest. 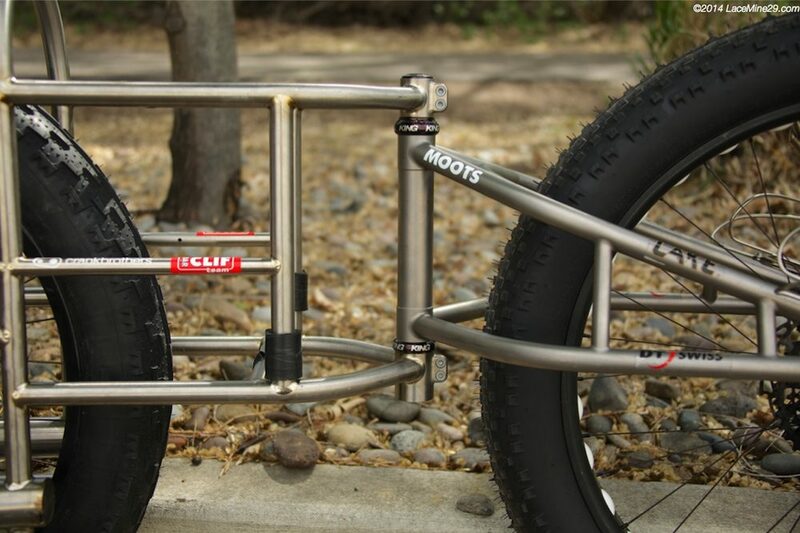 The Moots Snoots also has mounts for a rear trailer. The chainstay/seatstay area is, of course, all reinforced to handle the stresses of a potentially very heavy load. The trailer articulates just behind the rear wheel and is rolling on Chris King headset bearings (arguably the best, most precise around). There’s additional storage located on the trailer in the form of bidon-spaced bolts. On the frame itself, there are 5x mounts in locations that still allow you to run a full frame bag. And guess what? The trailer can carry a huge amount of fuel! About 6 litres (200 oz) in fact – you can see the input at the top. The whole shape of this trailer is pretty special really, and in my mind is the most spectacular part of the whole build. The side profile shows a whole heap of titanium. For gear nerds, it’s all probably a bit raunchy really! 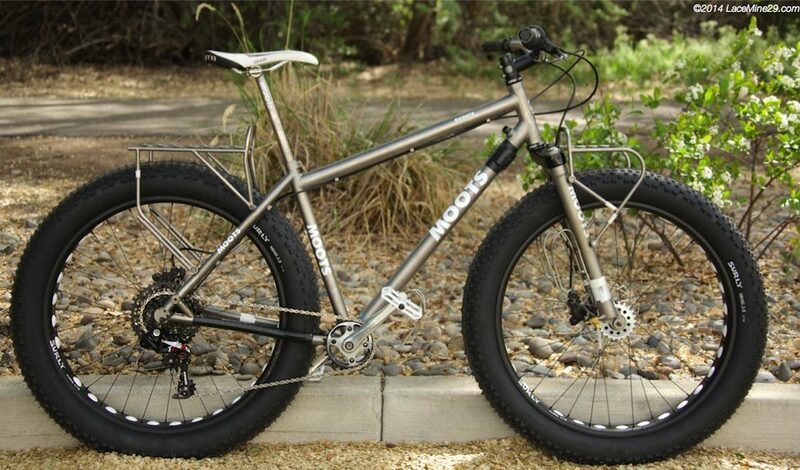 This Moots Snoots was actually up for sale a few years ago, advertised at a price of US $12,000. I hope whoever has picked up this amazing rig is getting out there and exploring! 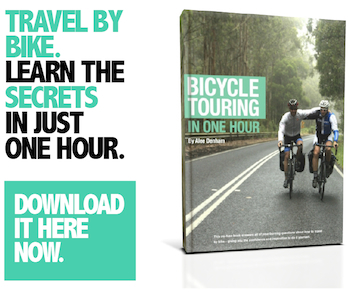 Click HERE to See More Custom Touring Bikes.